buy an iPhone XS: Is it REALLY cheaper to travel abroad? Home > Blog > Finances > Is it REALLY cheaper to travel abroad to buy an iPhone XS? Is it REALLY cheaper to travel abroad to buy an iPhone XS? With a hefty price tag starting from £999 here in the UK, only those with a spare thousand or so lying around will be able to afford to buy an iPhone XS outright. If you wanted the 512GB model, you are looking at having to fork out £1,349. Of course, you could consider a contract which includes the iPhone XS, but these can come with high monthly payments that many of us would struggle to be able to justify. But is there a cheaper way to buy an iPhone XS? And could travelling abroad to get your hands on the latest iPhone result in you saving some money? At the time of writing, one US dollar equated to 76 pence. In the United States, the iPhone XS is retailing for between $999 to $1,349 (costs differ if you want the iPhone XS Max). It does not take a genius to see that the price tag of $999 at today’s exchange rate appears to be significantly cheaper than the UK price. In fact, it works out as about £760. That’s a potential saving of just under £250. However, this price may not take into account local taxes, which can vary throughout the USA. Although, there are some states, such as Delaware, which have a 0% sales tax. Plus, when your shiny new iPhone arrives on UK soil, you are also required to pay 20% VAT. Moreover, you would have to pay for delivery of your iPhone to the UK. Therefore, the gap in price is actually much smaller than it first looks. In fact, on further inspection and taking these factors into account, you may not save any money at all by buying your iPhone from America. In fact, you could end up making a loss i.e. paying more for it than you would have paid in the UK. Of course, this can vary by model and there may be some small savings to be had. It is also worth bearing in mind that you will have an iPhone warranty from the US, which could cause you complications further down the line. What if I am travelling to the US anyway? But what about travelling to the US and picking up your iPhone yourself? If you were going to America anyway, this could save you delivery costs. If you don’t have a visit planned, it’s probably not going to be worth buying a flight for yourself to go and pick up your iPhone. In all likelihood, you could end up spending more money than you save. It is important to note here that you are still required to declare that you have bought your iPhone in the US and pay your taxes to take it back into the UK. If you do not do this, your iPhone XS could be seized if customs find it. In short, if you are going to the USA anyway, you may be able to save some money by buying your iPhone XS there, even taking into account the taxes you will have to pay to the UK. Otherwise, it is probably not worth the time and effort. Could I buy an iPhone XS cheaper elsewhere in Europe? With the free movement of goods (for the moment) between mainland Europe and the UK, could it be any cheaper to buy an iPhone in mainland Europe and bring it back to Britain? Unfortunately, the price of iPhones is just as high for our European neighbours as it is for us. For example, the cheapest iPhone XS on Apple’s French online store costs €1,159. At today’s exchange rate, that works out as £1,033. Thirty-four pounds more than the same phone in the UK. At first glance, there appear to be big savings to be had by buying an iPhone XS in the US. In reality, once you have added on local taxes, delivery costs and taxes you are required to pay when the iPhone enters the UK, savings are often very small or non-existent. In fact, you could end up paying even more. Unfortunately, for most of us, to buy an iPhone XS from America will simply not be worth our while. After attaining her Law degree in one of London’s esteemed universities, Lauren took on a role writing about finance and legal issues in various business to business publications. Deciding that writing was where her passion lay, she now works as a full-time freelance content writer for a wide range of businesses, including CashLady. “What I really enjoy about writing for CashLady is the opportunity to write about real issues that actually help people in their day-to-day lives.” In her free time, Lauren loves to read (and write!) novels, research anything and everything and continue to learn French, for those trips to her favourite country across the Channel. 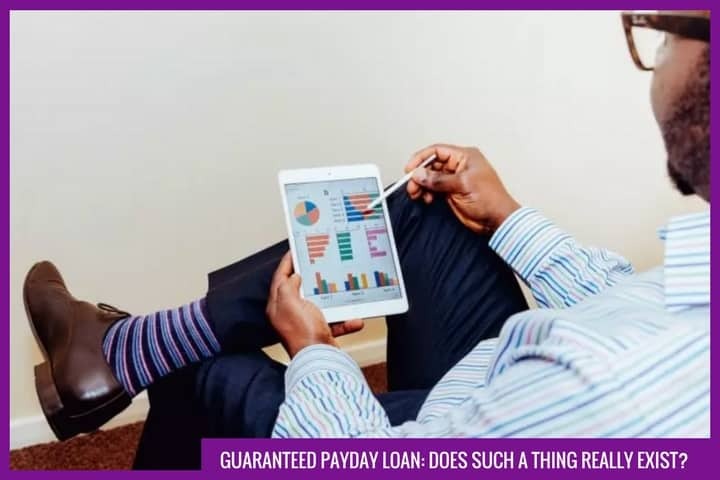 Bad Credit but need a Payday Loan? Do payday loans affect your credit? Learn about quick loans for unexpected financial emergencies work in the UK. How fast you can get your cash, if approved?.